As the 2015-2016 R48, WR48 and SR48 Championship approaches, let’s relieve what has been an incredible season. The R48, WR48, SR48, and R48 Qualifiers have traveled to California, Arizona, Louisiana, Texas, New York and Utah in search of Race 4 Eight Crystal, Yellow Jerseys, and to earn their spots amongst the elite in the sport. 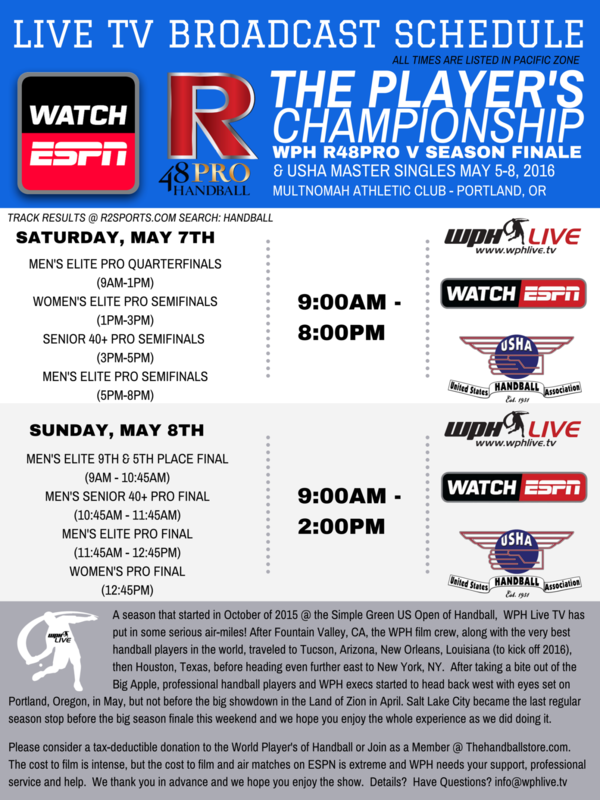 The Race 4 Eight V has seen first-time qualifiers, first-time finalists, first-time champions, first-time venues, as well as the continued dominance of the Race 4 Eight’s #1 stars and return to some of the best handball cities in the world. Check out DF’s final day recaps and Top Moments from the each of the Race 4 Eight V regular season events, starting with the 2015 Simple Green U.S. Open R48 V Stop #1.